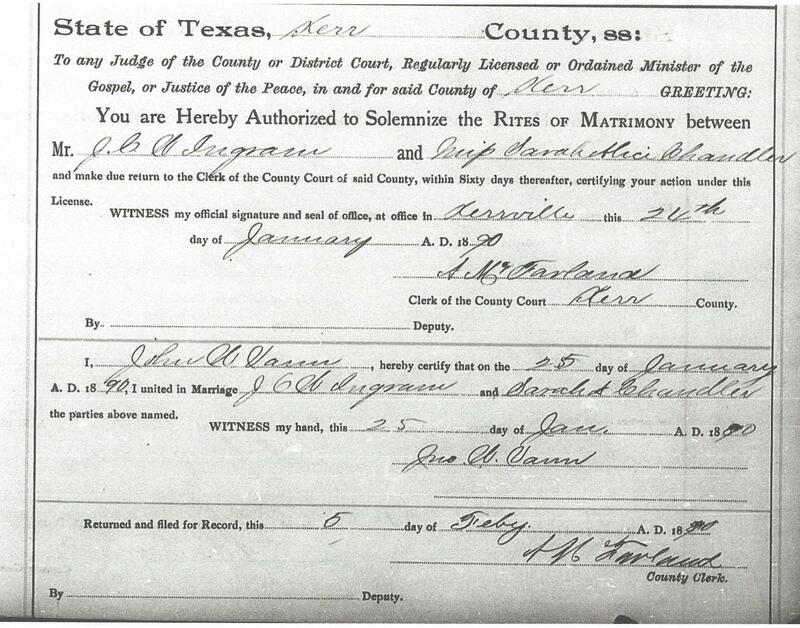 Ingram marriage document from the records of Kerr County, Texas accessed at the Texas State Archives in Austin. My great grandparents J.C.W. Ingram and Sarah Alice Chandler were married in Kerr County, Texas on January 25, 1890. The officiant was a man name John W. Vann. His story is not common. I thought my children or grandchildren might want to learn more about him so I’m leaving them some “bread crumbs”. Here is a brief sketch I found on Find A Grave. “John W. Vann, is the eldest child of Margaret and W.W. Vann. He received his early education at Tatum’s schoolhouse in Center Point. He and Miss Blanche Weston were married before he was 21 years old. In 1890 he was elected Commissioner of Precinct No. 4 in Kerr County and served as deputy sheriff under Capt. Frank Moore. In 1892 he was elected sheriff and Tax Collector of Kerr County resigning during his sixth term to accept the position of Deputy U.S. Marshall. While sheriff of Kerr County he was twice elected president of the Sheriff’s Association of Texas. I am grateful to Find A Grave, Cathy Morgan and others who have contributed to this memorial. 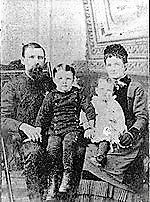 I’m also indebted to the West Kerr Current and especially Irene Van Winkle for the photo of John W. Vann and family. This is how he would have appeared at about the time of my great-grandparents’ wedding. 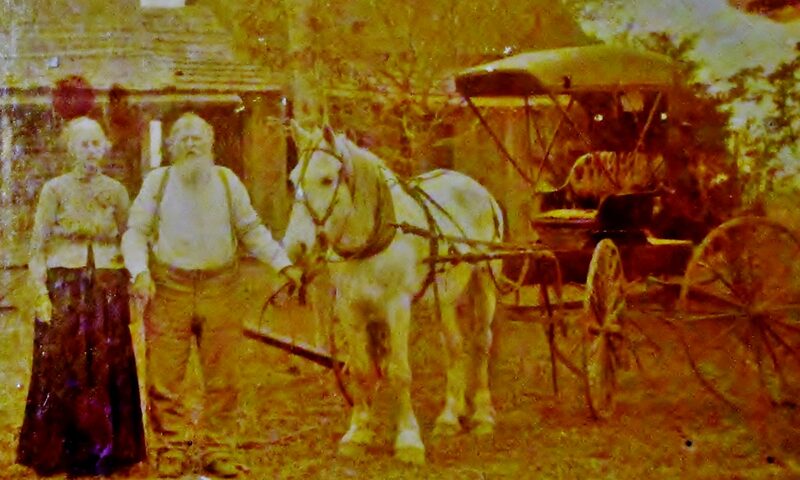 Previous PostPrevious Finding Jeremiah Horn…or Where did they put my 3rd great-grandfather?